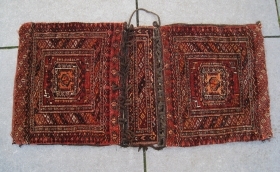 early ersari germech with a rare or unique single row of big gul...just look at many details of the drawing..
Turkmen Yomud Torba complete with back, straps & tassels. 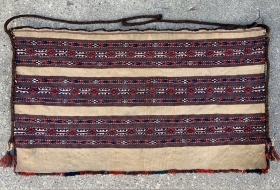 30” x 17” / 77 x 44 cm. 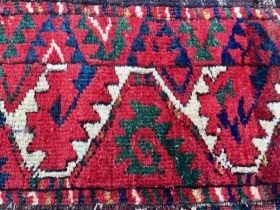 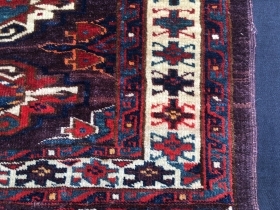 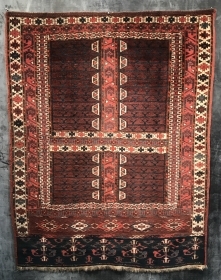 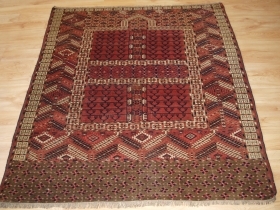 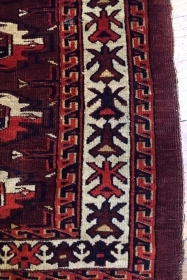 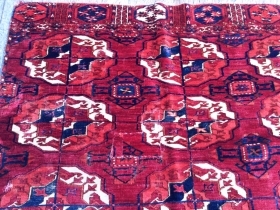 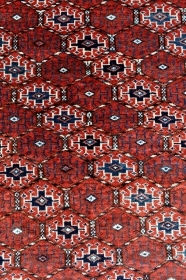 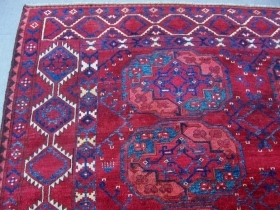 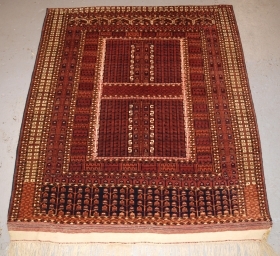 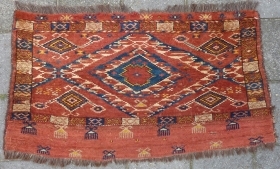 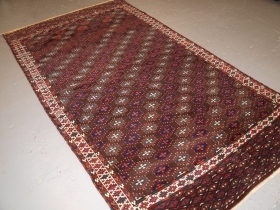 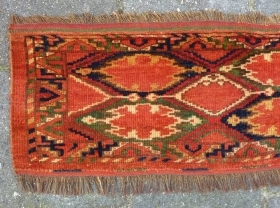 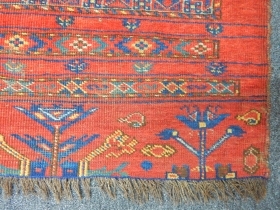 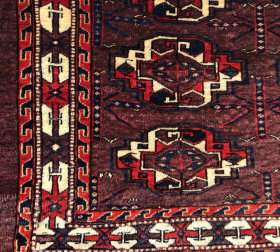 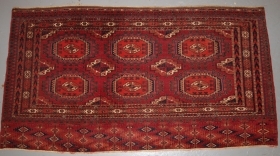 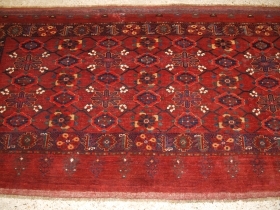 Turkmen Salatchak Rug - 3'2 x 2'11 - 96 x 89 cm. 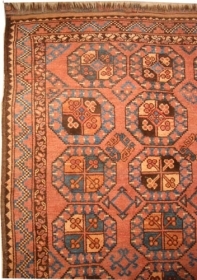 Turkmen Yomud - Aksu torba. 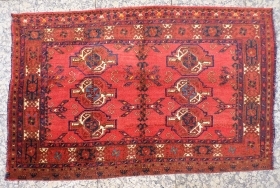 Size: 14.9" x 38 cm x 65 cm. 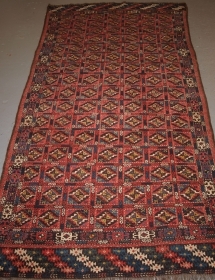 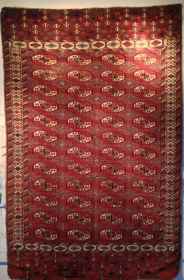 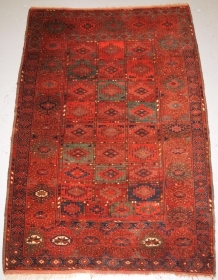 Turkmen Yomut Torba,78x40cm,end of 19th century, complete, very good condition, cleaned, is searching a new home. 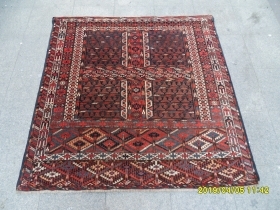 Old and Beautiful Yomud Juval. 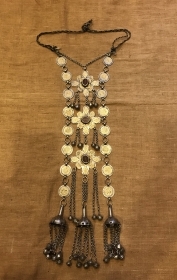 Worn but Elegant, it is. 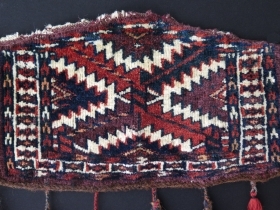 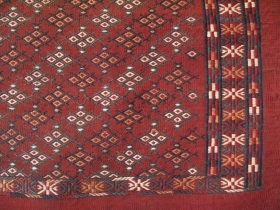 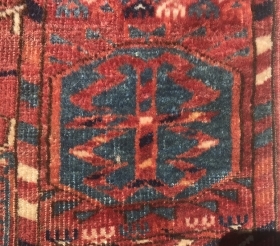 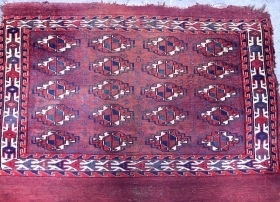 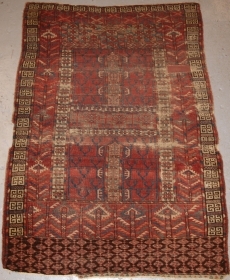 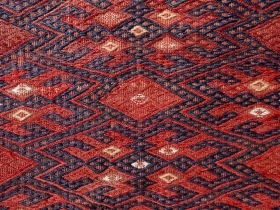 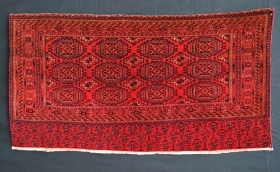 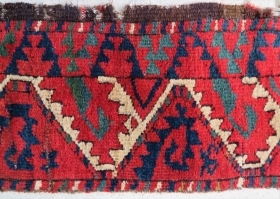 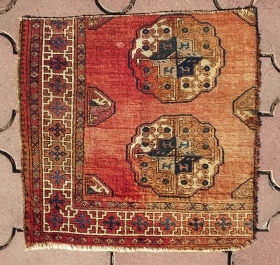 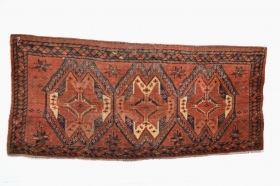 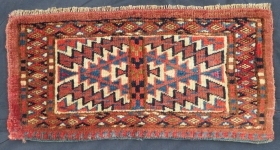 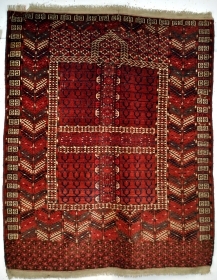 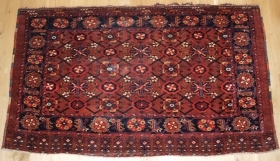 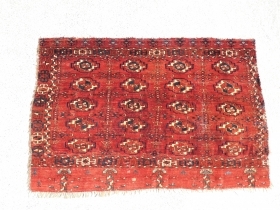 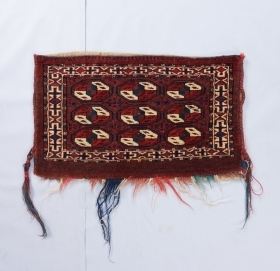 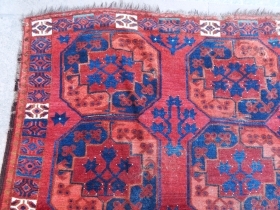 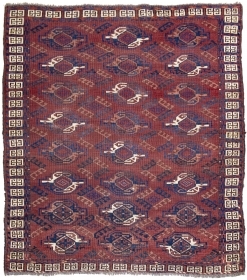 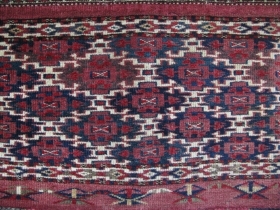 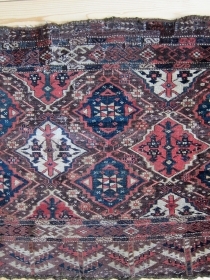 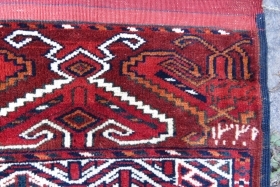 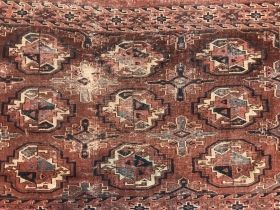 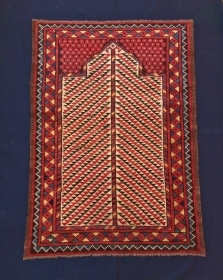 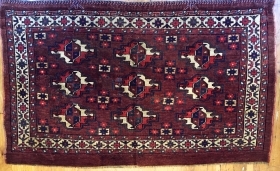 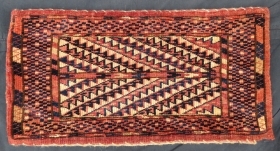 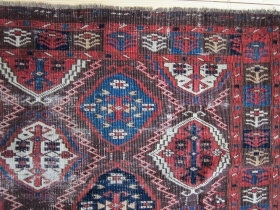 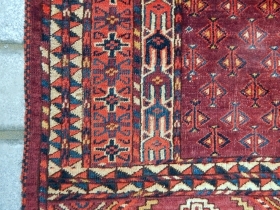 18th century Turkmen Salor main carpet fragment. 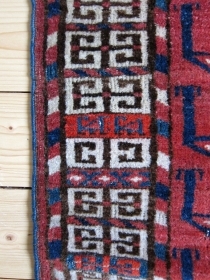 Measures 54x54 cm (ca. 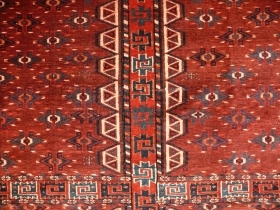 21x21 inches). 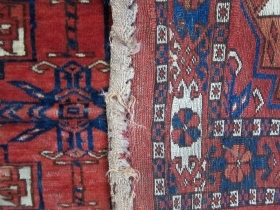 Some silk highlights. 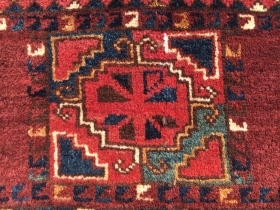 Condition as pictured.